We’d like to start by saying, we love bartenders. Seriously. The VAST majority of them are hard-working, honest people who only "steal" when they’re giving you, their longtime regular, a shot on the house. But like any profession, there are some bad seeds; bars and their keeps who -- often with some nudging from management -- use little scams to either shortchange customers or squeeze extra cash out of them. To help ensure you're not one of those customers, we asked several bartenders to share with us the shady side of the business. 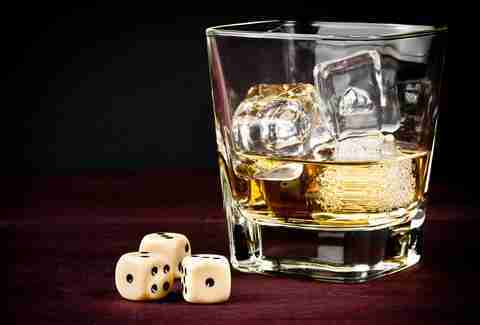 And they gave us these nine bar tricks that you should absolutely watch out for. 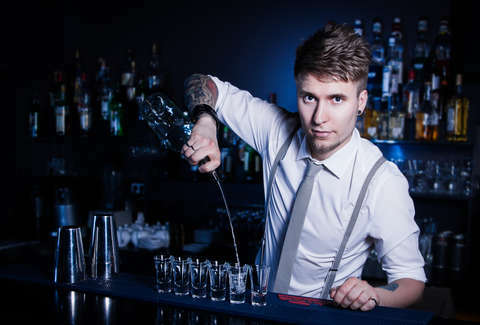 Bartenders are evaluated by their managers on many things, but the most quantifiable is the dollar amounts they ring up. So when you order a vodka soda and the bartender automatically pours Grey Goose -- even though their well contains the words “charcoal filtered” -- he’s just upped his sales considerably. You’ll either assume that’s what a drink costs at this bar, or you will notice but say nothing, since how cheap do you look sending back a drink because you wanted lower-grade booze? Since saying, “That’ll be $11, tip included” is kind of a mouthful -- and will undoubtedly need to be repeated multiple times over blaring renditions of “Glory Days” -- often the bartender will neglect to tell you that the price includes the tip. If you pay cash, ask. If it’s on a card, look to see if there’s a line that says: “ADDITIONAL gratuity.” Feel free to tip twice, but just know you’re doing it. Ice is a bartender’s best friend. Oh, you think that gin and tonic you just ordered was a heavy pour? Nope, it’s just that your glass is mostly frozen water and the taste of a strong drink comes through as a result. And thinking he just did you a solid, you tip accordingly. This is pretty much impossible to do anywhere they mix craft cocktails (or, really, in any bar where people aren't just crazy partying), but if a group of folks comes in after a two-hour pregame and orders Long Island iced teas, there’s a decent chance they're getting rum and Cokes with some sour mix thrown in. Same goes for an Adios, Mongolian, or any other drink that ends in an unprintable word. Bartenders know that customers notice light pours. But few people complain if they get a nice stiff Jack and Coke that just happens to be light on the Coke. 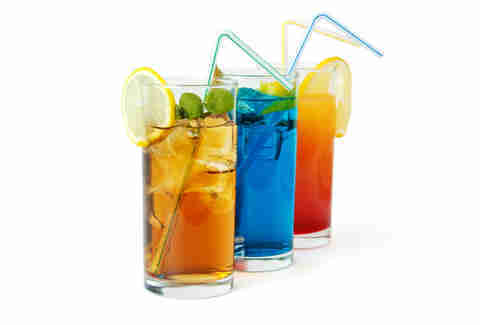 A drink that’s not entirely full (or that appears full with the help of additional ice) and is missing some mixer gives the impression that you got “hooked up.” It also ensures that you finish the drink faster. How many times have you gone to close out your tab and gotten only a credit card receipt back with your ID and card? Plenty. And while most bartenders aren’t doing this to charge you for things you didn’t order, it's often done to hide stuff like the aforementioned automatic gratuity and unrequested top-shelf pours. Some people are assholes and don’t think bartenders deserve an extra dollar for popping the cap off a beer. Others just come from countries where tipping isn’t the norm. Either way, if a tip is omitted the first time a customer orders, you'd be surprised how the bar magically “runs out” of the cheap liquor he or she was drinking. Or how the "happy hour" that was going on when they bought their first round at 6:20pm somehow ended at 6:37pm. Some bartenders literally keep a bottle of water in the ice bin to add to these drinks. It’s harder to pull off with higher-end booze, but since the ice melts pretty quickly, the extra wateriness is tough to detect in your cheap bourbon on the rocks. 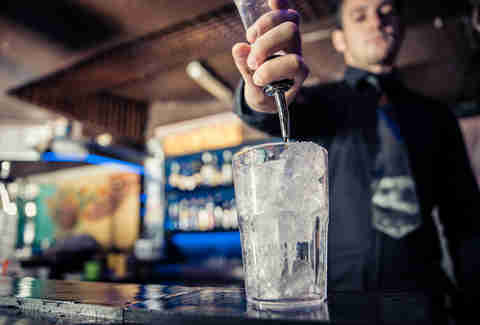 Often a management trick, but bottom line: because so many people mix good vodka with Red Bull (making the quality of the vodka undetectable), filling up a bottle of top-shelf booze with decent-tasting lower-grade stuff is an eaaaaasy way to save the bar money -- and the customer never knows he or she was shortchanged. Mind you, they have a real bottle of Belvedere ready should you order your drink neat or on the rocks. But if you’re the type who likes to mix expensive spirits with the sodas that come out of a gun, this has 100% happened to you.